This entry was posted in "Thanks A Million", Bliss!, Generosities, Irreplaceable, It's A Mystery, It's All True, Jazz Titans, Jazz Worth Reading, Pay Attention!, Swing You Cats!, That Was Fun!, The Heroes Among Us, The Real Thing, The Things We Love, Wow! and tagged AN UNHOLY ROW, BEING PREZ, Billie Holiday, biography, Bix Beiderbecke, Count Basie, Dave Gelly, Douglas Henry Daniels, Fletcher Henderson, Frank Buchmann-Moller, Frank Trumbauer, Gunther Schuller, Jazz Lives, Lester Young, Lewis Porter, Michael Steinman, Whitney Balliett, Willis Handy Young. Bookmark the permalink. 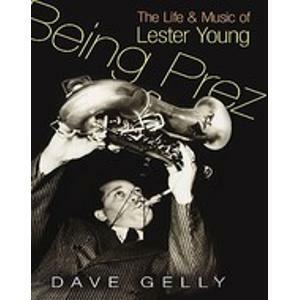 Every serious Pres lover has a ghost side around;I will pick up Mr.Gelly’s book ASAP. went into our darkrooms to produce the images that preserve their existence for this generation & others yet to come, some kind of compensation seems appropriate. No argument from me about fair use and fair compensation . . . I just think it would be a pity if they languished — with fewer people even knowing who some of the subjects are.